I consider myself very lucky to live in Chichester, it's a great city - not too big, not too small and surrounded by beautiful countryside and the beaches on the doorstep. If you don't know the area and are planning a trip the following destinations might be of interest. First on my list of where to go in Chichester has to be Pallant House Gallery. The gallery is home to one of the best collections of Modern British art in the UK, with works by Henry Moore, Walter Sickert, Ben Nicholson, Eduardo Paolozzi and Peter Blake. There is a rolling programme of exhibitions and displays which in the past has featured the work of Frida Kahlo, Robin & Lucienne Day, Edward Burra & John Piper. It also has a great bookshop and courtyard cafe....very important in our book! Whilst still in the city I would really recommend a stroll through Bishop's Palace Gardens. This is a lovely oasis of calm and botanical gorgeousness hidden away to the south west of the Cathedral (access via the Cathedral Cloisters or the arch on South Street). 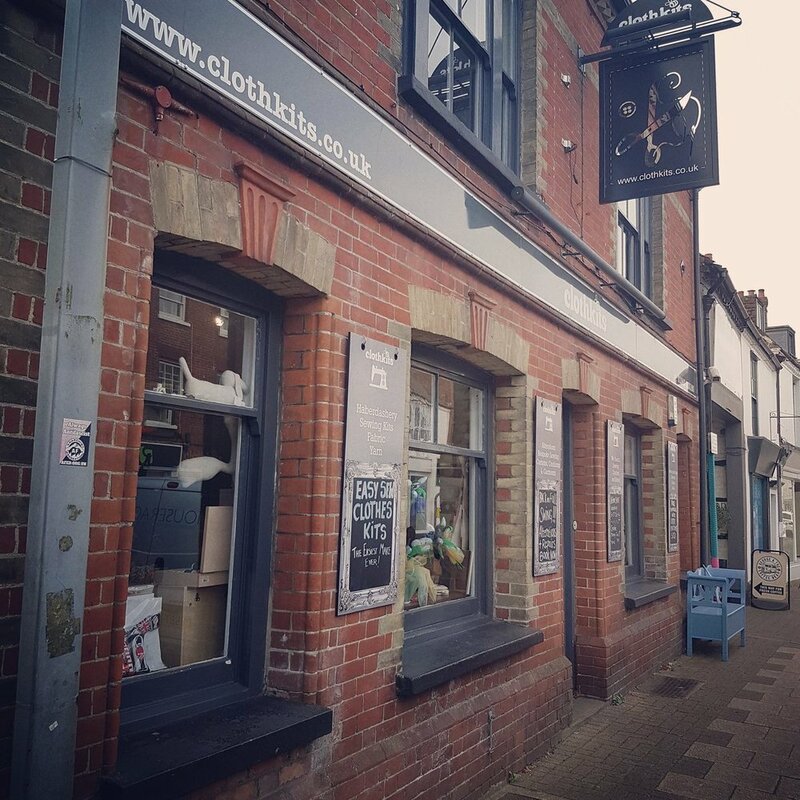 Head over to the east of the city and any sewing addicts amongst you can have the most wonderful shopping experience at Clothkits one of the best independent shops in the city. In addition to selling a wonderful array of sewing, knitting and haberdashery, tucked behind Clothkits is Draper's Yard a great collection of small makers and artists and a wonderful coffee van! Further afield is the wonderful Weald & Downland Museum. An amazing collection of rescued traditional rural buildings set in a beautiful landscape. They have recently built an amazing new cafe and shop building, which is free to enter - it's worth stopping in just for this alone. As It's and outdoor museum it's a great (dog friendly) place to go with children, there's lots of different styles of houses to explore and lots of farm animals to entertain and even a working water wheel. If you fancy stretching your legs a favourite walking spot is Kingley Vale. It's a magical place full of twisted trees, with one of the oldest yew forests in the country. There is a steep climb up the hill taking paths either on the left or the right where the forest begins, or straight up the middle if you are feeling particularly energetic. It's worth the hike though as on a clear day you can see for miles with the harbour laid out before you. South of the city there are lots of places to explore around the harbour. Dell Quay is a great spot with a pub and quay which (when the tide is right) is a great place to go crabbing and watch the sailing, and maybe have a little walk along the edge of the harbour. Going further south, there is a choice of beaches. Most well known is the glorious sandy beauty of West Wittering, with rolling sand dunes & wonderful views to the Isle of Wight. On hot days it attracts people from a huge radius so does get busy and the queues are not quite so glorious sadly. So we sometimes go to Pagham for a dip on hots days - it's shingly, slightly less well turned out, BUT you can get chips and there is a penny arcade with some great old one-arm bandits....what's not to love? Alternatively there is Bracklesham Bay with the wonderful Billy's On The Beach cafe. It's a perfect spot to watch the sun go down over the sea and enjoy a glass...or two!